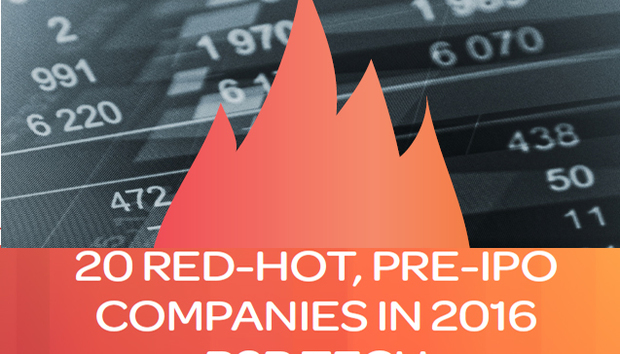 The third annual IDG Connect Red-Hot Pre-IPO Companies in B2B Technology report is out and the 2016 list comes at what is a strange time for big-name startups. There are well over 150 companies with a $1bn-plus valuation, according to CB Insights, but recently tech IPOs have slowed down and many tech companies that did test the waters have seen shares drift below their initial offer prices. At the same time there are lots of ‘downrounds’: funding rounds where the company in question is valued at less than in earlier rounds. It’s a messy situation and one exacerbated by doubts about the macroeconomic outlook all over the world. That situation will leave some companies content to stay private, open to be acquired and/or to find other ways to raise capital. But as sure as death and taxes there will always be those who wants to set sail on the public market seas, no matter how choppy conditions might seem. An IPO is more than just a fundraising event: it’s also a way to capture attention, reward staff and to pin a badge of honour to lure prospective customers. Looking back at previous IDG Connect Pre-IPO reports we can see all the above options being exploited. Some, like Boundary, Vormetric and Virtustream have had trade sales while others like SailPoint and Autotask have become part of private-equity groups. The majority continue to be private but a fair number have floated, from Alibaba to Zendesk via Box, Hortonworks, Mimecast, Pure Storage and Sophos. Others are planning their IPOs, including Coupa, Okta and Nutanix. Here’s an update on companies that have featured on previous reports. Want to know more about these companies? IDG Connect has interviewed them all so go here and search for the company of your choice. Actifio. Founded in 2009, the Boston area storage startup has raised over $207m and was valued at $1.1bn in its last round. CEO Ash Ashutosh has said he’s keen to go public and was even quoted as saying 2015 was a possible year for its market debut. Clearly the company is content to wait. Anaplan. The UK-founded corporate performance planning startup joined the unicorn list early in 2016 as it picked up more funding to take its total to $240m. BloomReach. The Californian cloud marketing firm is still private but continues to boast name-brand retail customers. Boundary. BMC bought this application monitoring outfit in August 2015. Cirba. This Canadian maker of virtualisation management tools is still independent but widely seen as an attractive proposition. Cloudera. Sitting on an enormous Intel investment, Cloudera has plenty of time to grow more - and it already claims to be one of the world’s fastest growing tech companies. Some say 2016 could be the right year but market conditions might make it hold off. Coupa. The Californian spend management firm laid out IPO plans at the close of 2015. Devicescape. The wireless service aggregator continues to add to its spectrum of capabilities and remains independent. DocuSign. The e-signature pioneer saw CEO Keith Krach stand down late in 2015 and some see an IPO following soon. ForgeRock. The identity management firm continues to be a sector leader. Okta. The single sign-on startup filed for an IPO in late 2015. OneLogin. Okta’s rival continues to be fast-growing but stays solo for now. PernixData. One of a mob of fast-growing datacentre companies, PernixData CEO Poojan Kumar told me last year that an IPO was at least a couple of years out. Pure Storage. This Flash-centric datacentre company floated in 2015 but was hurt by negative sentiment on the sector and saw its stock price plummet. SimpliVity. The hyperconvergence player has been linked with trade sales but an IPO remains a preferred option after picking up hefty funding in 2015. Skyhigh Networks. The cloud security risk registrar is still building and growing its reputation. Sophos. The UK headquartered security firm floated on the London Stock Exchange in 2015. Splice Machine. The Big Data startup collected more funding in early 2016. Teradici. The virtual desktop firm remains an indie. Vormetric. Agreed a sale to Thales for about $400m in 2015. Alibaba. Blockbuster IPO in 2015 drew magnetic attention to the Chinese e-commerce juggernaut but concerns over Chinese economy have tugged it back. Autotask. The cloud service for IT service providers went to private equity in 2014. Birst. The BI firm collected an additional $65m in funding in 2015. Box. A big-name IPO in 2015 and still a leader in its cloud collaboration and storage category but shares have fallen since. Bromium. A major security partnership with NTT was announced in early 2016. CipherCloud. Retains a high reputation in encryption. Cloudview. CCTV-in-the-cloud company is not racing but taking steady steps under UK entrepreneur James Wickes. DataStax. Now formidably funded to chase Big Data growth. Hortonworks. Made a surprisingly early IPO in 2015, rose then fell sharply as with many tech IPOs recently but solidly positioned to ride the Big Data waves. Kaazing. Web application delivery accelerator remains a standalone. Looker. Doubled its funding with an early 2016 cash injection to help BI push. Mimecast. Email management company with UK and South African roots went to IPO in 2015. MuleSoft. Closely watched integration specialist and now has $259m in funding, raising expectations of an IPO. NewVoiceMedia. Raised more funding in early 2016 and is a leader in IP contact centre technology. Nutanix. Another to start IPO wheels in motion in late 2015, having benefited surely by appearing in IDG Connect’s special report into datacentre disruptors. OutSystems. Quietly going about its business, enhancing a reputation among application developers. SailPoint Technologies. Identity management leader that was acquired by a private equity firm in 2014. Workshare. UK collaboration firm continues to plough its own furrow and has a stronghold in the legal sector. Virtustream. Acquired by EMC in 2015 for about $1.2bn and now caught up in the machinations of the Dell-EMC agreement to combine. Zendesk. This much-admired servicedesk company went to IPO in 2014 and has performed very well since.